I always joked with him that when we lived in Mallorca, on a finca, we would have so many animals. I envisaged a new pet a week. A few chickens and rabbits saved from the pot, a skinny cat or two picked up from around the bins, a horse because I like them and a dog if I could persuade him. 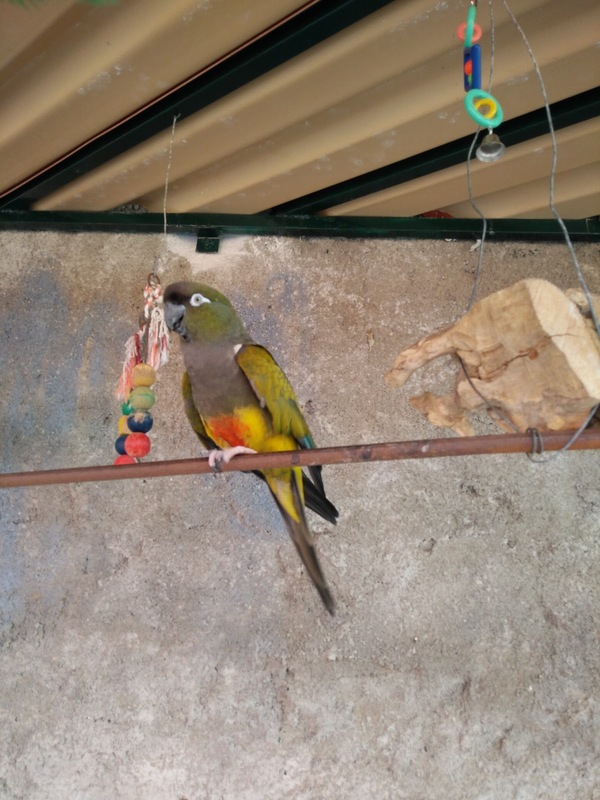 What I didn't expect was to inherit a parrot within an hour. 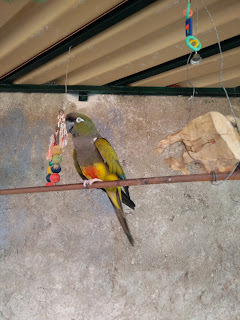 The landlord of our rented house didn't want the parrot to go to his flat in Palma, in a small cage, and wondered if we would look after him. I'm not a fan of birds in cages. But I'm really not a fan of birds in very small cages. So we said YES to Peepo the parrot. He's a very cross parrot. Hes obviously not used to people in his aviary. So slowly, we have made his concrete home a little more pleasant - and by the time we have finished I hope to give him a little slice of the Amazon jungle.